Tickets from £15.00 Includes service fee and £1.20 facility fee. A £2.55 admin fee applies. 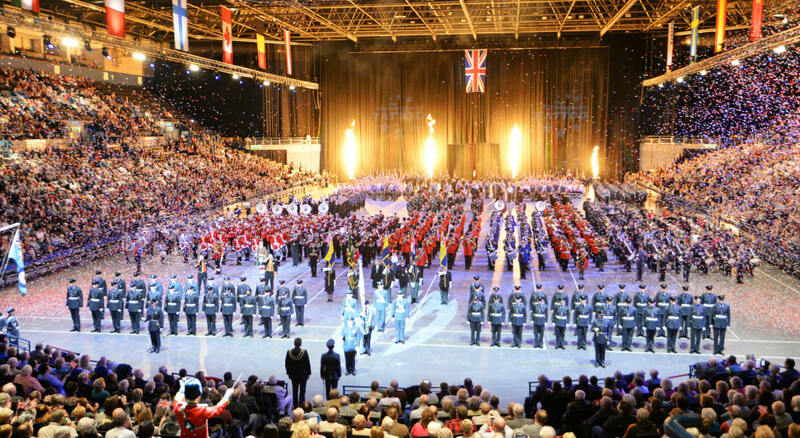 Britain’s biggest indoor international tattoo, with over 1,200 performers, is returning to Arena Birmingham in 2019 bringing together marching bands, exciting displays and culminating in the spectacular Grand Finale featuring all the performers in a spectacle of pomp and pageantry. International marching bands will join our own British military bands in a three-hour spectacle for all the family. Sharing the arena with the musicians during the three-hour family event will be a range of spectacular displays including Royal Air Force Cosford Queen’s Colour, the RNRMC Field Gun Competition, the United Kingdom Disco Display Team and the Parade of Massed Standards, to name but a few.